Bursa City Museum is amongst the firsts in the city. Situated inside an old courthouse, the museum was established after a very thorough and extensive research. The social attraction chronicles the history in its most efficient form. From earlier period of establishment to later days of glory, the museum tells an enchanting story of its growth and significance. Ensure to visit every niche of this exciting place during your Bursa trip and get yourself acquainted with past, culture and rituals that the place is known for. Outside food is not permitted. Smoking is completely off-limits within the premises. Love this? Explore the entire list of places to visit in Bursa before you plan your trip. Fancy a good night's sleep after a tiring day? Check out where to stay in Bursa and book an accommodation of your choice. How popular is Bursa City Museum? 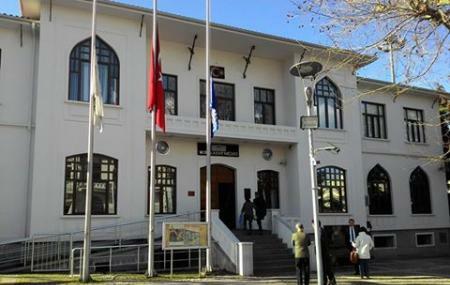 People normally club together Bursa Ulu Camii and Cumalikizik while planning their visit to Bursa City Museum. It's a nice museum with a nice variety of subjects presented. The artifact descriptions are all in Turkish though, no other languages were available. There was just one exhibit that had one sentence in English that I found. Nice place. Very cheap to enter. But unfortunately there’s no translations to any language. Nice for getting experience and knowledge about Bursa in the past. A very much nice place. Entrance is only 2 liras, you can use the bus card to go in. The place is nice and clean and the music playing all the time was very nice too. Walking inside was organised as well, you need to follow the foot signs on the ground to walk through it. The only problem was that all instructions were in Turkish language only.